Kids’ School Snacks | The difference is in the detail. Who hates packing school snacks in the morning..trying to decide what to pack when you are still half asleep? Well, I do. And I am too lazy to do it the night before. One day at a time ! Today, just a tip from my side for those days when you don’t have time to prepare something fresh like a sandwich or fruit. I buy bulk for items that don’t have expiry dates. 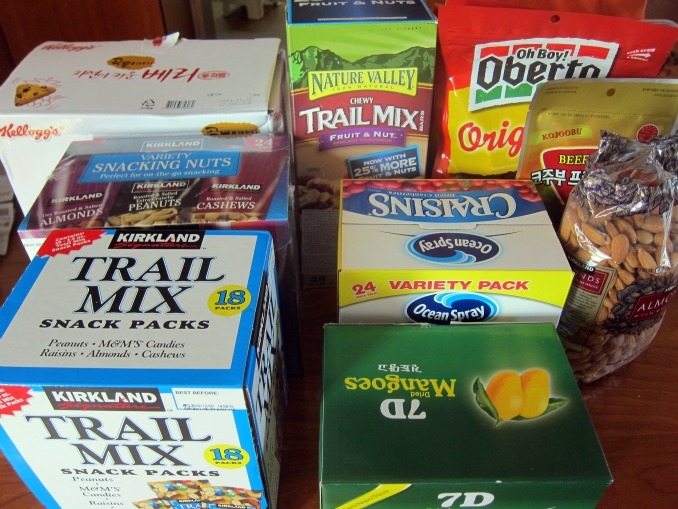 I take a selection of items and re-package them in snack size suitable for my kids. Putting a personal note takes hardly any extra time…but goes a long way putting a smile in their hearts when they open it at school ! Then I take a few of each kind and put them together in one box in a drawer. For those mornings we are in a rush…or can’t think straight because it is too early. 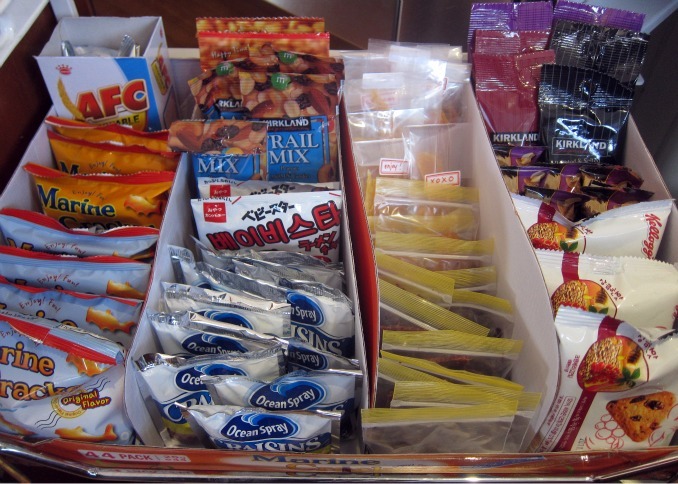 Simply pull open the drawer and grab a packet to go. 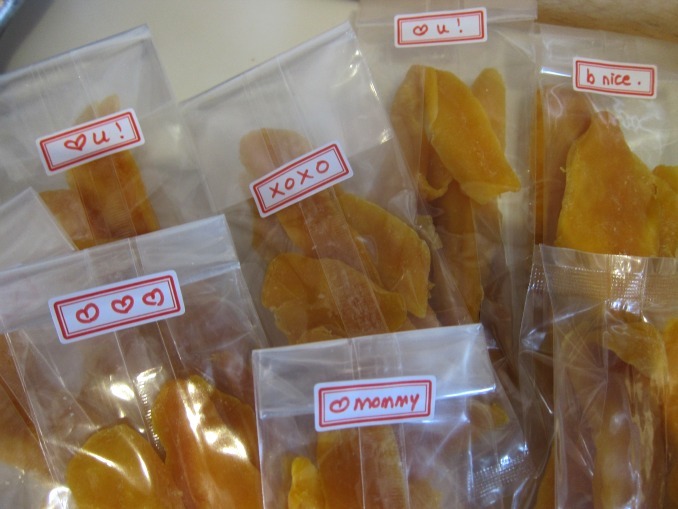 Even when mom not around, kids have easy access to take care of themselves for school snack. Done. School snacks for kids…. this definitely is a conversation topic that i find my self so often in. I also one of the mums that find school snacks a struggle. Times are a changing, and all different schools have different policies. Some schools are going down the healthy route. My children attend a school where no nuts are permitted (allergies), no fruit juice, no dried fruit and most definitely no sweets nor cakes. Which sure makes packing lunches a right royal pain in the behind every morning. While in Australia last year i noted that many schools (following suit of large corporations) had taken on the “green” approach. Yes, no plastic and no packaging except for brown paper bags. Though while i see the point, It sure makes it tough thinking up creative things to feed our little ones while they are at school. It always makes me happy to see an empty lunch box at the end of the school day! Our school is same on the sweets/ sugar and the nuts for little ones/ age groups where kids might be uncertain and take from others but have never heard of the dried fruit one??!! I heard Cranberries is the best thing EVER so I am pumping my kids on it !!! I am terribly guilty when it comes to the “green” approach….I feel bad, but I will have a nervous breakdown if I have to try and keep with everything, including that – and I think my breakdown will be even more harmful than the ozone layer !!! ;-)) But, it is good one to work towards – i will definitely think about that in future and maybe bring in the brown bags !! !